Joey grew up in a household overflowing with movement: martial arts being a lifetime passion for his father; yoga as a physical and philosophical practice for his mother. He grew up mainly focused on the “yang”, with exploration of the martial arts filling his high school years, until injury forced a step away. Initially seeking yoga for the mindfulness benefits, he soon understood that it opened a gateway back into the physical practice and discovered a rabbit hole deeper than he had ever imagined. A graduate of the Hom Yoga Training Academy, Joey completed his 200-hour teacher training with Dom Nguyen in 2016. He undertook an internship with movement culture founder, Ido Portal, in 2017 and continues to seek further education through private classes, workshops and additional teacher training. 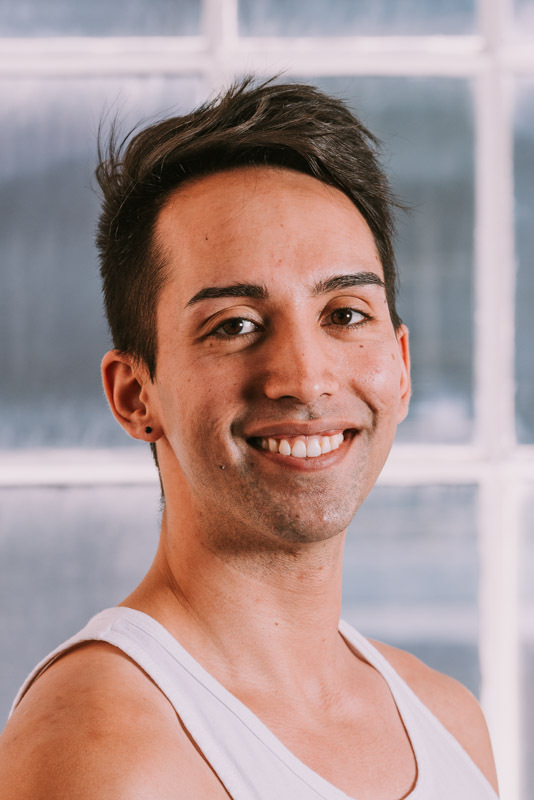 Joey’s classes reflect his philosophy as a student of movement: riddles for the body and freedom for the mind through a physical exploration of yoga and beyond. He loves helping others to unlock things they never thought possible within themselves, and the special sense of togetherness that only sharing a yoga practice with others can provide.